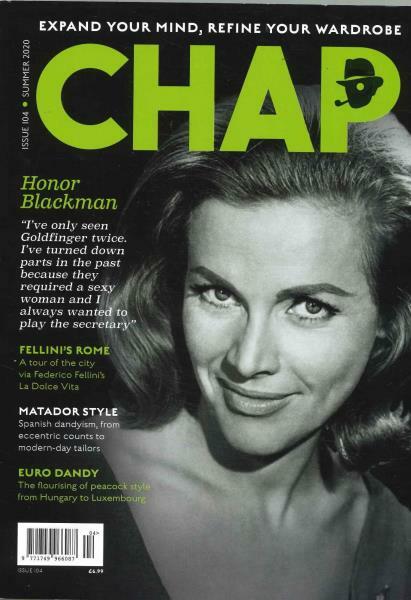 The Chap is one of the leading men’s lifestyle magazines of the United Kingdom. The magazine, which is published once every two months, carries some beautiful pages and pictures with some amazing content focussed on current affairs and their take on the modern way of life. The magazine specializes in gifts and gift sets for men, focussing on grooming sets for men. The Chap magazine strongly follows and advocates the British tradition and culture and openly opposes the modern way of life. The magazine proposes a return to a cultured way of life, complete with donning tweed, smoking pipe, wearing neat and pressed clothes, drinking quality beverages and being courteous to women. The publishers and the readers of the magazine, known as Chappists, believe that the society is of no good if the common etiquettes are not withheld, like wearing a proper headwear or pressing pants or even showing the lady some manners.